Our starting price is $2595. Most clients will spend $3195. But every package we offer is customized to your needs. Up to 8 hours of coverage with the option of adding more hours to cover your entire wedding day. For custom package pricing contact us here. Or let's schedule a time to meet at our studio or chat on the phone so we can help you select the best options for your wedding day. Ambar and Eddie are recognized as the best wedding photographer of South Jersey and for good reasons. 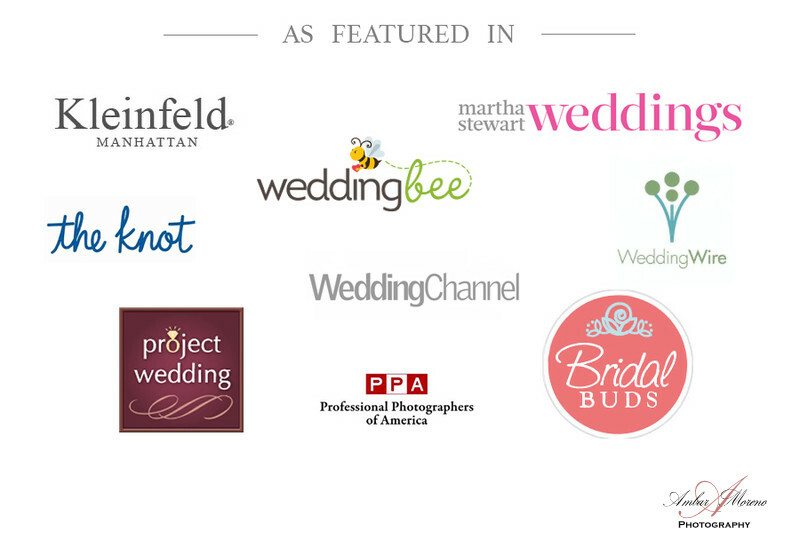 We can be seen in publications such as Kleinfeld, Martha Stewart Weddings, The Knot, WeddingWire, Wedding Bee, Wedding Channel, Project Wedding and Bridal Buds to just name a few. Wedding dates are booked early in the year, so we encourage you to reach out to us as soon as possible so you can secure your date.